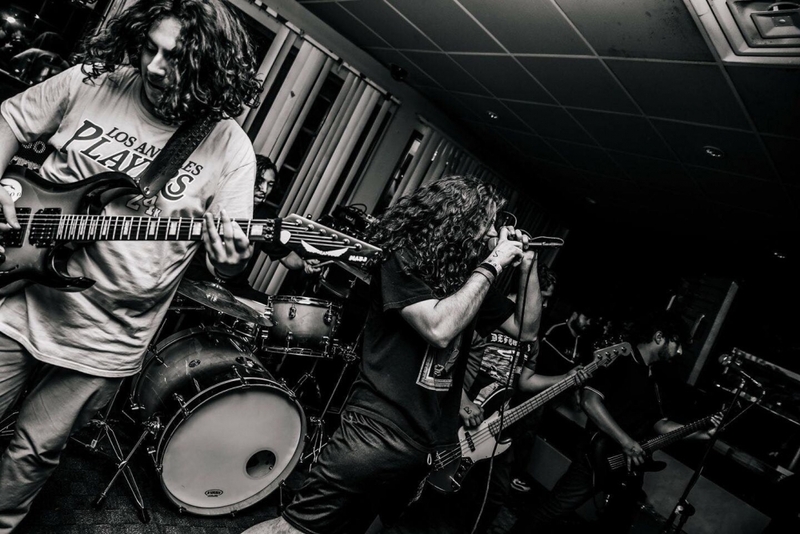 Formed in 2016 in the City of Angeles, Sacred Fire is a crossover thrash crew that first came to my attention via Twitter. 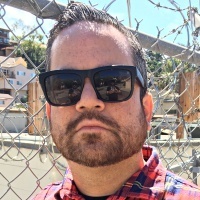 Citing such influences as Cro-Mags, Sodom, and Exodus, the quintet is comprised of vocalist David Harding, bassist Anthony Lemus, drummer Mark Otoya, and guitarists Richard Arias and Cris Villa. 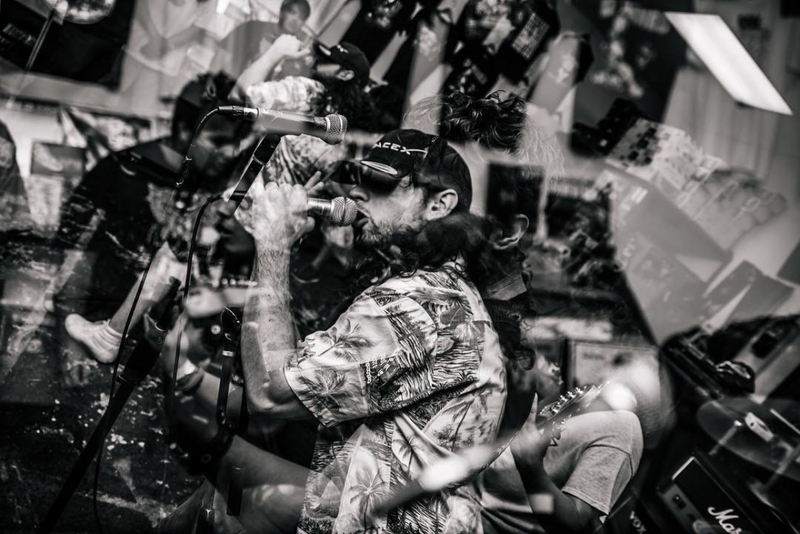 With two promos already out on their Bandcamp page, Sacred Fire is gearing up for the release of Slave to Structure, their debut EP. Since I haven't posted anything about the band before, I've teamed up with the Angelenos to bring you "Echo Chamber," a track from the forthcoming release. "'Echo Chamber' is a song about conformity," Sacred Fire singer David Harding tells me when I ask him about the lyrics. "An 'echo Chamber' is, in essence, the social phenomenon of surrounding yourself with media, people, and literature that reinforce your own world view and rejects dissenting opinions or ideals. So, that's what the song is about too. The only difference is that I say, specifically, that the divide of the political left and right is the catalyst for the echo chamber that's widening that divide. That's why you see so much hysteria and paranoia, coupled with increased social-political tensions and a skewed sense of 'right and wrong' as of late. So, it's kind of cyclical that way because the political divide causes the echo chamber which in turn causes the political divide which in turn causes the echo chamber, etc etc. "It's a bit centrist of a song that, in my opinion, calls for bipartisanship at a time when both sides of the social and political spectrum seem to have no interest in working together. It's also one of, if not the most, challenging songs we had to put together. It's the result of a lot of bickering and arguing, but I think that angst kind of worked in our favor this time!" 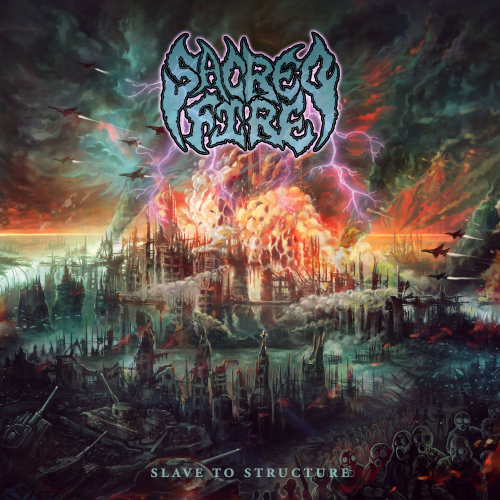 The arresting cover art for Slave to Structure was created by Ardha Lepa, an artist who has also collaboated with Creeping Death and Arkaik, among other acts. As you can see below, Ardha's apocalyptic vision fits Sacred Fire's hard-hitting thrash assault. Slave to Structure will be on out Aug. 31. Sacred Fire can be found on Bandcamp, Facebook, Instagram, and Twitter.